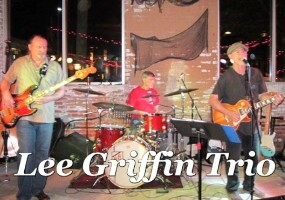 Lee Griffin has been playing the guitar and singing for a living for over twenty years. He has performed in concert with B.B. King, Denise La Salle, Little Milton, Howlin’ Wolf, The Bobby Blue Band, Elvin Bishop, Buddy Miles, Ray Charles, The Commodores, Joe Simon, Millie Jackson, Three Dog Night, Ollie Woodson, The Temptations, Rare Earth, The Bar-Kays, The Atlanta Rhythm Section, Alabama, The Allman Brothers Band, Mountain, and many other stars.